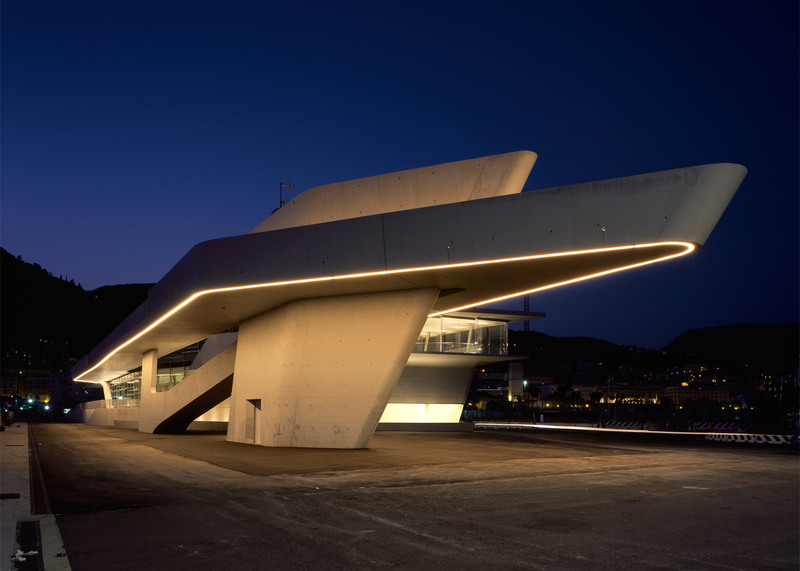 Zaha Hadid Architects has unveiled its first completed building since the death of its founder, a new maritime terminal for ferries and cruise liners in Salerno, Italy (+ slideshow). 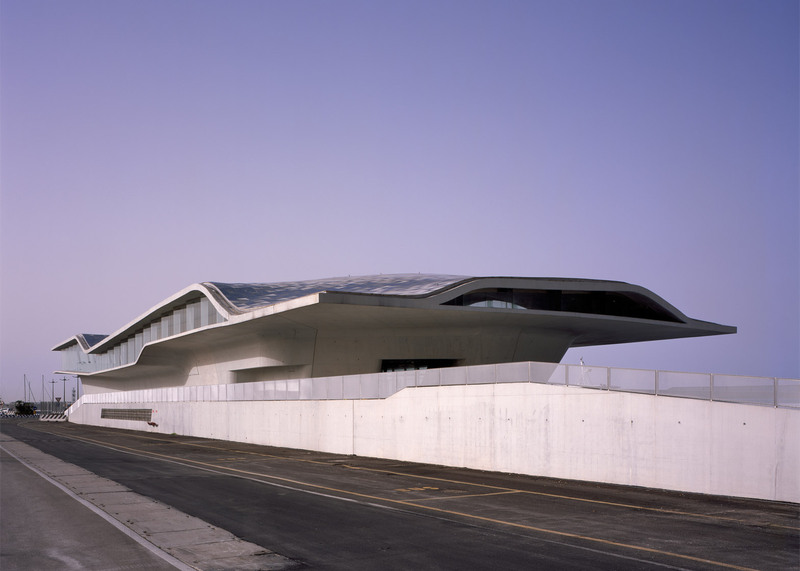 Described by the London-based firm as being "like an oyster", the Salerno Maritime Terminal features an undulating concrete outer shell and an interior formed of gently sloping ramps. 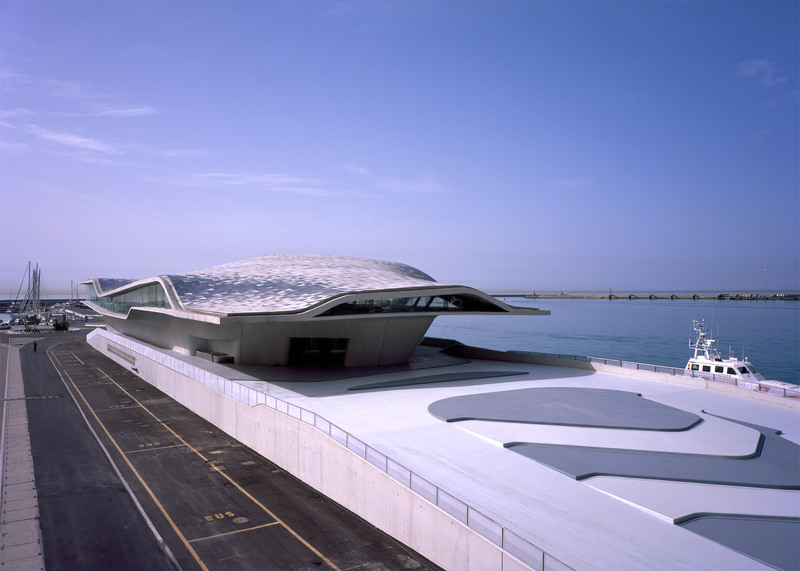 "Like an oyster, the terminal's hard, asymmetric shell protects the softer elements within, sheltering passengers from the intense Mediterranean sun during the popular tourist season," said the studio. 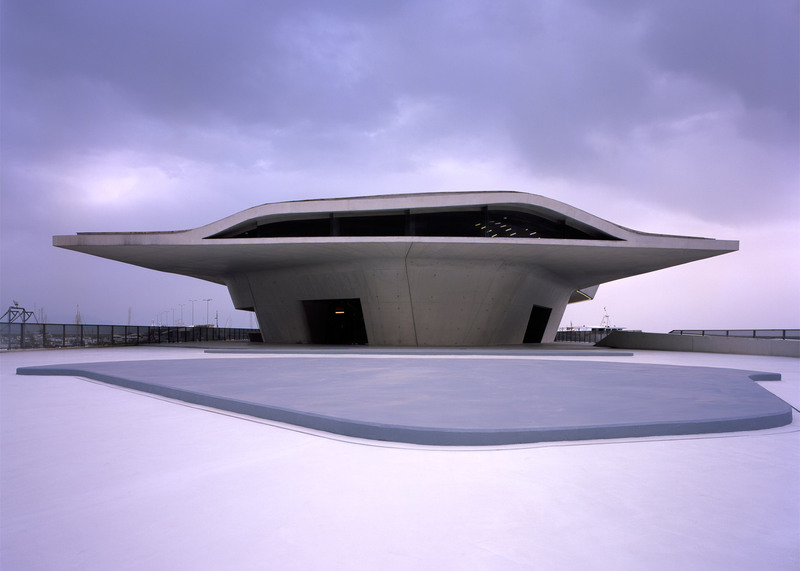 The terminal building is being inaugurated today by Italian prime minister Matteo Renzi, over 16 years after Zaha Hadid Architects (ZHA) won a competition to design it. 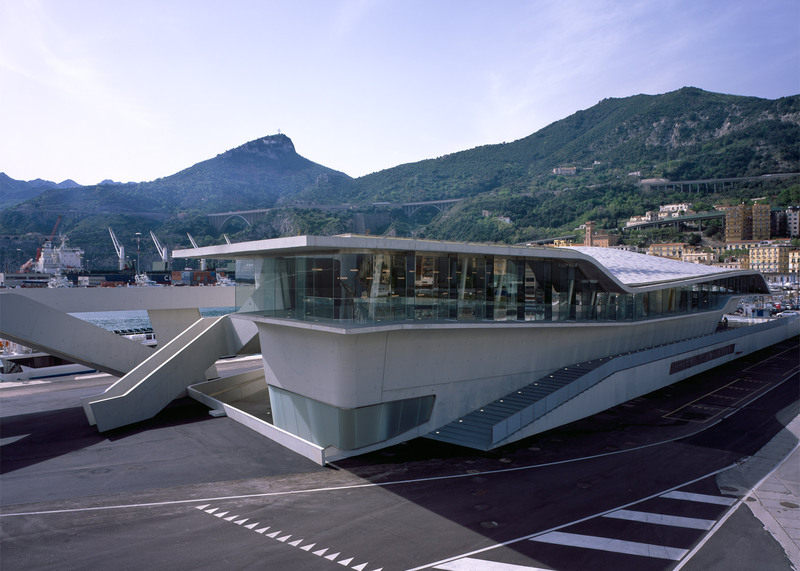 It provides a new terminus for local, regional and international ferries, and cruise liners, allowing up to 500,000 more travellers to pass through Salerno each year. 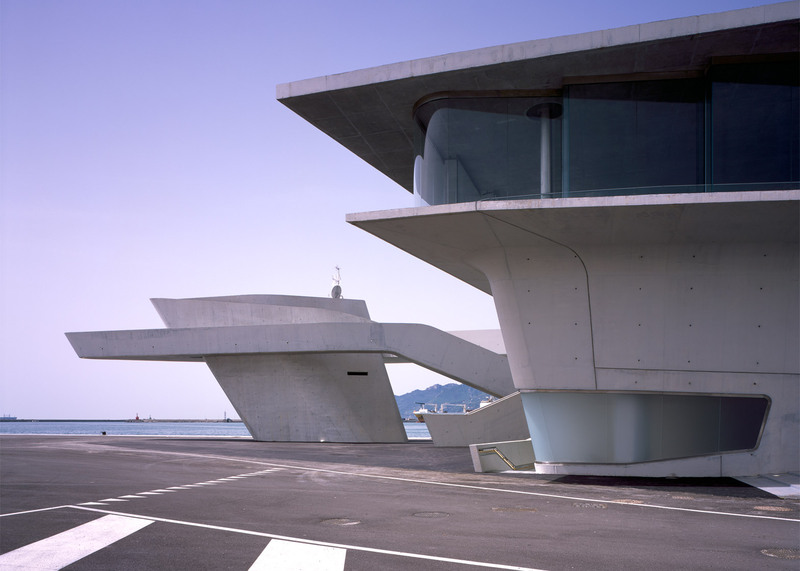 It also forms part of a wider vision for the revival of the city, which is located on Italy's west coast. "This extraordinary work adds to everything Salerno is doing to transform itself and I think it is marvellous," said Renzi. 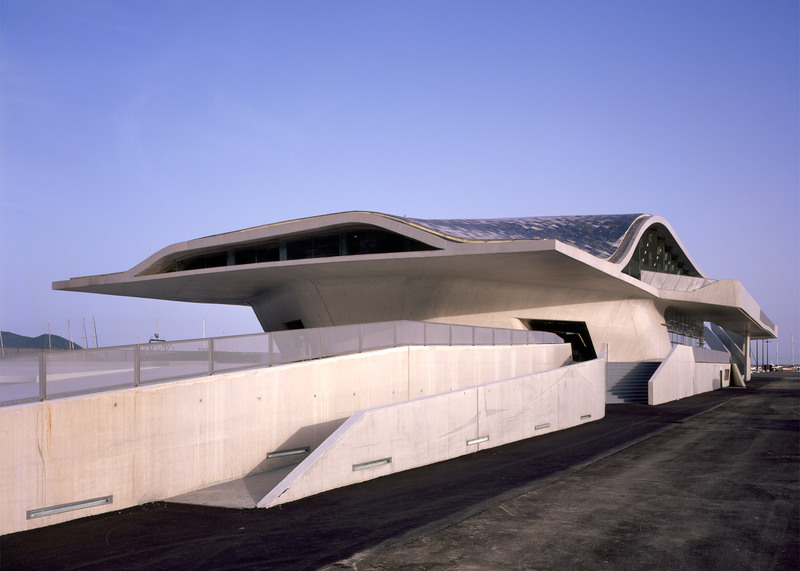 "It is also a way of remembering the great architect that Zaha Hadid was." 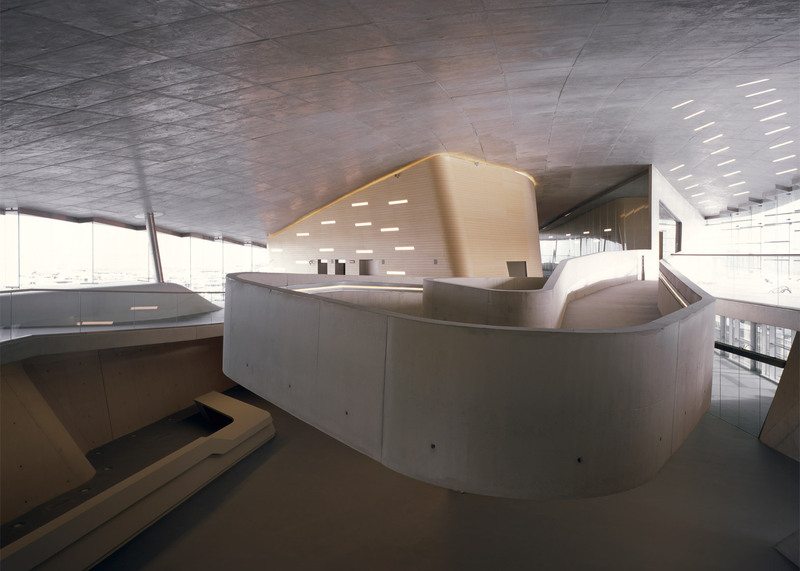 The building comprises three areas, envisioned by the design team as interlocking components. One houses offices for national border controls and shipping lines, while the other two form the regional and international terminals. The ramped floors lead passengers up from the level of the quayside to the embarking level for large vessels. While regional commuters follow a direct route, international travellers are guided through check-in towards control areas for passports, security and customs. Spaces are organised around natural meeting points, including a restaurant and a waiting lounge. 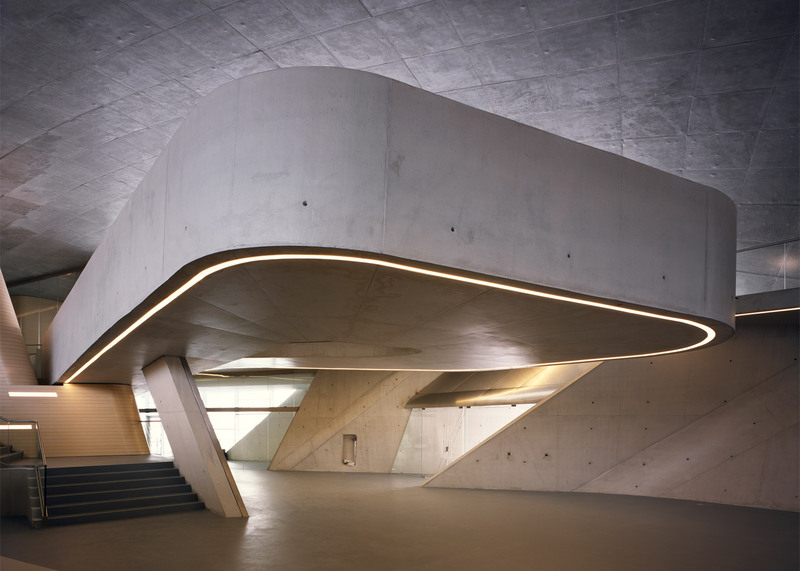 Like the exterior, these areas feature smooth surfaces of exposed concrete. 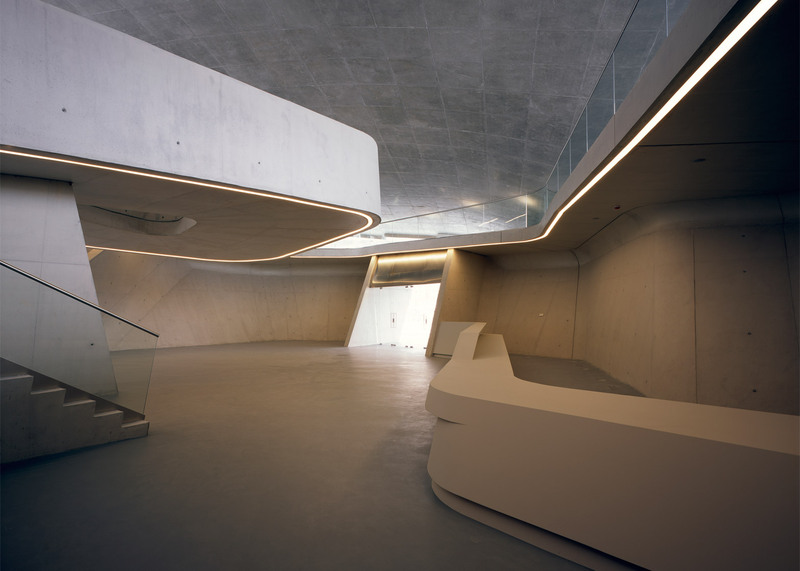 "The new terminal operates, both functionally and visually, as a smooth transition between land and sea, a coastal land formation that mediates between solid and liquid," said ZHA. 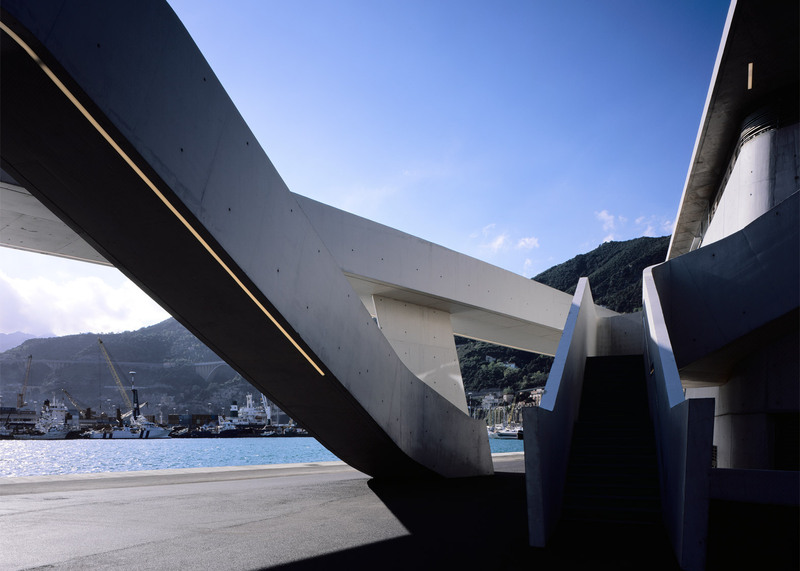 Large bands of glazing run around the building's perimeter, offering far-stretching views over the Gulf of Salerno. 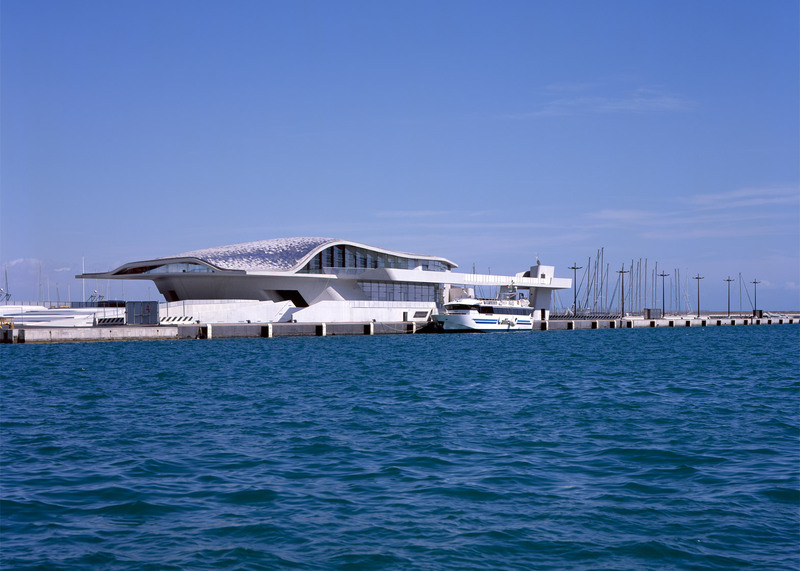 There are also numerous terraces where passengers can take in views of the sea. 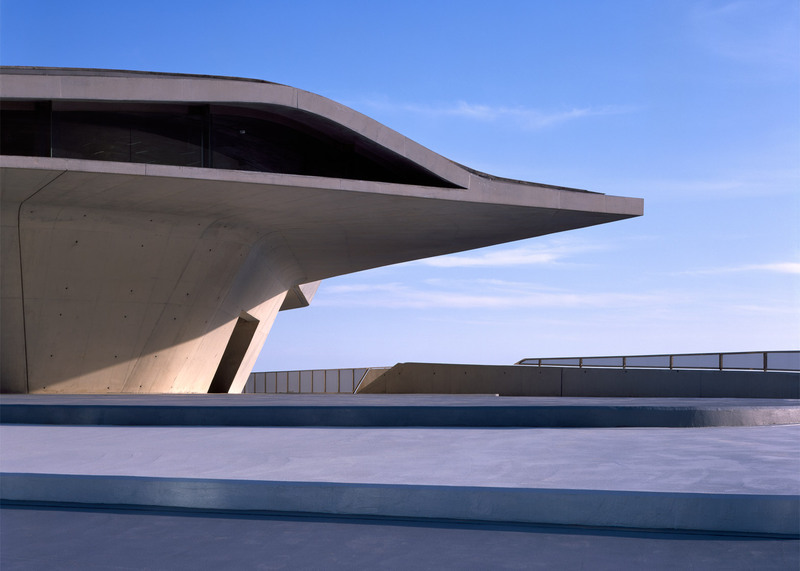 "The new terminal will greatly improve the accessibility and experience for visitors to the region's renowned cultural attractions, coastline and countryside," added ZHA. "At night, the glow of the terminal near the harbour entrance will act as a lighthouse to the port, welcoming visitors to the city." 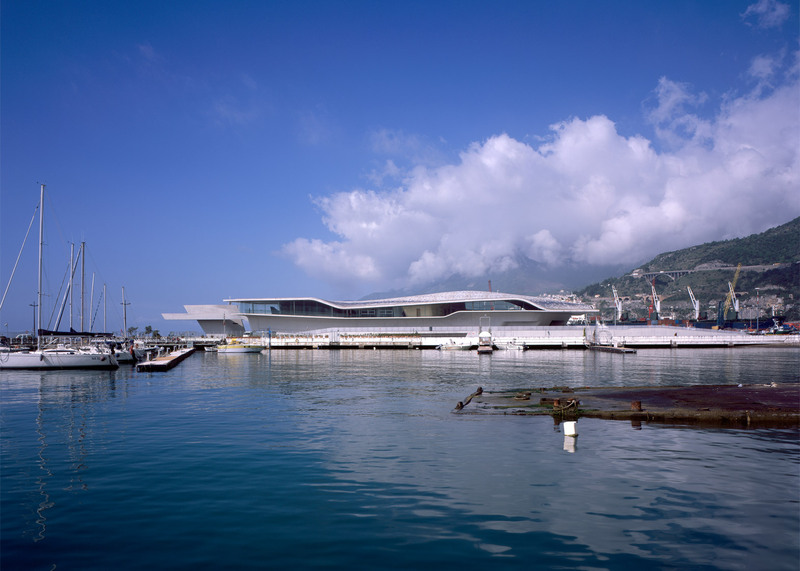 Salerno Maritime Terminal is one of four major projects that ZHA has said it will complete this year, following the announcement that the firm plans to finish the 36 projects under development at the time of Hadid's death. Others due to be unveiled this year include a new headquarters for Antwerp's port authorities, a research centre in the Saudi Arabia capital Riyadh and a Mathematics Gallery at London's Science Museum. But it was revealed last week that Hadid's spiralling car park and public plaza in Miami will no longer be realised, after the design was rejected by city officials.